the underground radio feeding people of the zone with scary hate messages and dangerous propaganda. The governors rose from a day forum held at Imo Government House, Owerri, on Sunday with a decision not to recognise the radio station. 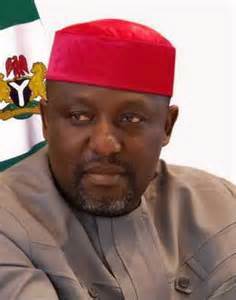 Governor Rochas Okorocha, at the end of the forum, said “the radio does not have the endorsement of south-east governors’’. He said that he governors equally resolved to tackle the issue of insecurity and other social ills that had beset the people of the region for years. He said the forum is concerned especially over the issue of kidnapping, cultism and baby factory, among others. Mr. Okorocha said the governors agreed on the need to adequately equip the security agencies in the region for efficient security delivery. He said they also agreed to retain Enugu as the headquarters of the South-East governors’ forum office and its economic hub. The governors also deliberated on the agitations by the people of the zone against the Boko Haram prisoners allegedly transferred to Anambra prisons. They appealed to the Federal Government to take a second look at the development and re-transfer the prisoners to another place because of the agitations and the worries it had so far created in the zone.